If you watch the news, you probably have heard the name Nipsey Hussle mentioned numerous times over the past few weeks. Nispey was murdered on March 31, 2019. Now, more people than ever are speaking his name and listening to his music. But what was Nipsey Hussle’s net worth at his time of death? Nipsey Hussle was born Ermias Joseph Asghedom on August 15, 1985. 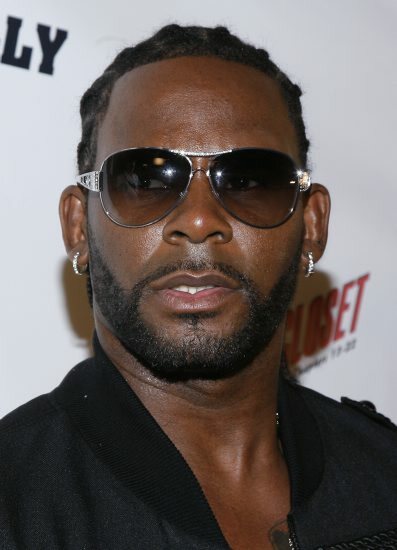 He grew up in the Crenshaw neighborhood of South Los Angeles with his brother and sister. Nipsey attended Hamilton High School but did not complete his education. He dropped out and at the age of 14 left home to join a local branch of the Crips gang. When he was 19 years old, his father took him and his brother on a trip to Eritrea, where he was from. The trio spent three months in the African country. After visiting the country, Nipsey wanted to head a different direction with his life. He attributes the trip with his father to inspiring him to become more active in the community. 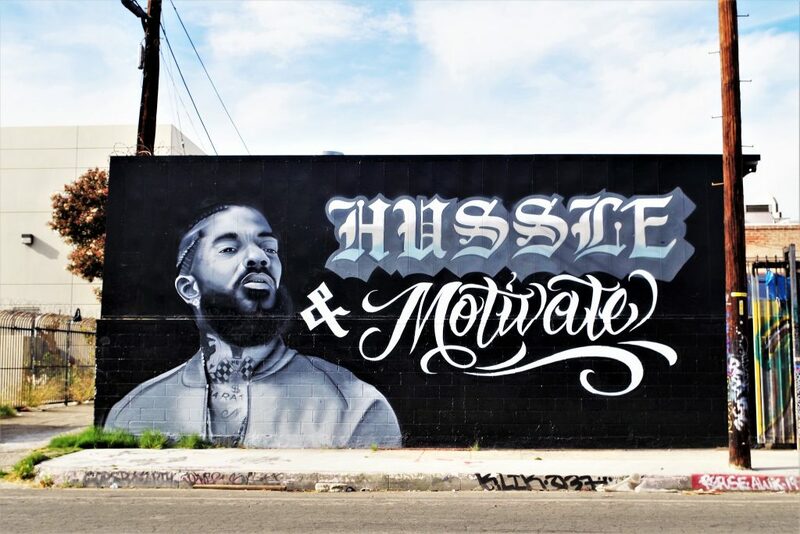 Hussle released his first mixtape, Slauson Boy Volume 1, and it was moderately successful within the community. This helped him establish a small fanbase on the west coast and eventually led to him to sign with the Cinematic Music Group and Epic Records. In 2008, he released a series of three mixtapes called Bullets Ain’t Got No Name. This series helped him reach a larger audience and it continued to grow through 2009. Then he was able to collaborate with bigger names like Drake, Snoop Dogg, and Problem. However, Nipsey was still failing to stake any claim on Billboard charts. Epic Records underwent financial struggles in 2010, leading Nipsey to decline to sign with the company again. Instead, the rapper broke off independently. Shortly after becoming an independent artist, he appeared on the song We Are The World 25 for Haiti. Nipsey was then featured by XXL Magazine in its list of “Annual Freshmen Top Ten,” a list of up-and-coming stars. After leaving Epic Records, Nipsey decided to break off and start his own record label called All Money In. His first mixtape under the label was The Marathon and featured artists like MGMT. A year later he released The Marathon Continues, a sequel to his first piece of work under the label. Since then, Nipsey has collaborated with big names, such as Rick Ross and YG. He also went on to release a number of more mixtapes and albums. Unlike many other rappers, he was able to fully control how much he charged for his work because he owned his own label. His project Crenshaw only had 1,000 copies made. Nipsey sold each copy for $100, making him $100,000. Fellow rapper Jay-Z bought 100 copies. It also made his mixtape project that much more valuable (most “underground” rappers don’t earn a dime from a mixtape). Now, with his untimely passing, his work has only become more popular and more in-demand. But how much was Nipsey Hussle worth when he died? Was he able to leave a legacy behind for his family? After his death, Nipsey’s family received a huge amount of love and support from his fans. In fact, some individuals began a fund to help Nipsey’s family with expenses following his murder. However, his family made it perfectly clear they don’t need the money. “We’re told the family is grateful for the outpouring of support, but as one source put it — Nip just wouldn’t want it that way, and since he left his family financially secure. It’s just not necessary,” TMZ reported. At the time of his death, Nipsey Hussle’s net worth was sitting comfortably at $8 million. He was able to leave his family financially secure by making wise investments and broadening his sources of income. In fact, Nipsey made it clear that having multiple sources of income was the only thing that would keep his music career alive. Of course, a large portion of his cash stemmed from Hussle’s performances, album, and mixtape sales. However, Nipsey also earned income from acting. When he died, he had 10 acting credits, including playing Little Ricky in a 2007 film about Bone-Thugs-N-Harmony. On top of acting, rapping, and performing, Nipsey also bought a local strip mall and began selling merchandise. The clothing store where he was shot, Marathon Clothing, was owned by Nipsey himself. He also owned a coworking space in Crenshaw where he made money renting out office space. Although Nipsey left behind his significant other and two children, they will continue to be well taken care of long after his passing because of the wise decisions he made with his money. He will also leave behind a legacy of the work he did within his community by investing in the arts and celebrating black culture in L.A. Readers, do you have a celebrity you’d like to see us cover? Let us know in the comment section below! Known for her heavy Southern accent, Park Overall has made her mark in two vastly different careers as an actress and politician. Since leaving Hollywood, she has been a women’s rights activist and fights to make a difference in politics. However, most people probably haven’t heard of her. So, what is Park Overall’s net worth? Park Overall was born in Nashville, Tennessee in March 1957. Her life was always heavily influenced by politics, as it continues to be today. Overall’s father was a federal magistrate. In her adolescence, she worked on political campaigns for Tom Wiseman and Jim Sasser. She graduated from Tusculum University with a degree in English and briefly attended a graduate program in Tennessee before moving to New York to pursue a career in acting. One of Overall’s first roles was in an off-Broadway play about Andy Warhol called Skin. After that, she played a number of other roles on stage and eventually went on to costar in a television series on NBC called Empty Nest. Empty Nest proved to be Overall’s breakthrough role. It was on the air from 1988 to 1995 and even led to spinoff roles in other shows. At the turn of the century, she starred in a two short-lived TV series Katie Joplin and Ladies Man (1999). Overall’s first feature role was in a film called Tainted (1988). That year she appeared in four additional films, including a voice-only role on Talk Radio. During this time Overall was working on other projects as well. In 1995, she voiced a character in the animated series The Critic. She also appeared in several made-for-television movies, many of them appearing on Lifetime. You may have spotted her in one of her many guest appearances throughout the 90s as well. She appeared on The Golden Girls and Reba, which have both since been syndicated. More recently, she has appeared in To Kill a Mockumentary (2006), Beer For My Horses (2008), and In the Family (2011). Fun fact: Park Overall is a distant relative of President Barack Obama. The two don’t hang out much though and never crossed paths in politics. Overall’s main moments in the spotlight have had to do with environmental causes. Most of the time, the issues Overall has taken a strong stance on have an impact her native East Tennesee. For instance, in 1995, she called out Champion International for polluting the Pigeon River. The chemicals found in the river were traced back to the company and have been tied to the high rate of cancer in Hartford, Tennesee. It is also well known that Overall has been a critic of Nuclear Fuel Services, a company that processes uranium in Erwin, Tennessee. In the past, soil samples contaminated with uranium have been traced back to the plant. Finally, in April 2012, Overall ran for office, hoping that having a larger role in government may help her voice be heard. She entered as the Democratic candidate opposing Bob Corker. However, she fell short of garnering enough support to break through the primaries. Although her political career has been fairly non-existent, she still had a small acting career before setting her sights on politics. This is what has Park Overall’s net worth sitting comfortably around $3 million. Her best, and longest, role as Laverne Todd in Empty Nest is what earned Overall most of her cash. It should also be noted that she won three Viewers for Quality Television Awards. Additionally, Overall was nominated for three Golden Globe Awards. So, it is safe to say the film and television she’s appeared in has been popular. It should also be noted that lived in a home in Los Angeles while she was actively performing in television and film roles. The house was sold for just over $1 million in October 2015. She currently resides in Horse Creek, Tennessee. This $1 million definitely contributed to the star’s overall wealth. When it comes to Park Overall’s net worth moving forward, there’s no reason to believe it will change drastically. Overall isn’t currently working on any projects and was last active in politics when she endorsed Bernie Sanders in 2016. Readers, what do you think about Overall’s wealth? Are you surprised? Check Out Jillian Michaels’ Net Worth!